The Skywalk ARAK is aimed at the centre of the large EN B pilot target market, mid-way between the ‘low B’ Tequila 5 and the ‘high B’ Chili 4. Although advertised as a wing that ‘meets every demand’ we think a more accurate claim would be ‘most things to most pilots’. 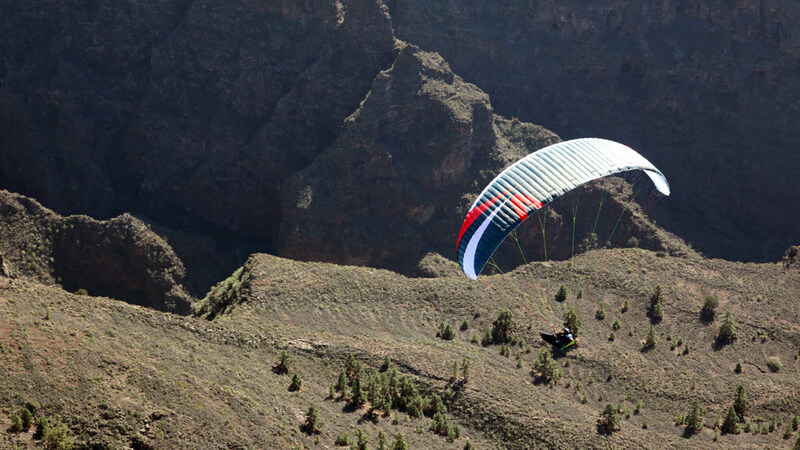 Nancy Elliott flew the ARAK S (70-95/100kg) at 87kg in the winter (UK) and in varied conditions in Tenerife, and shares her experience. Light but durable, agile but calm, simple but efficient. Did they get the balance right? 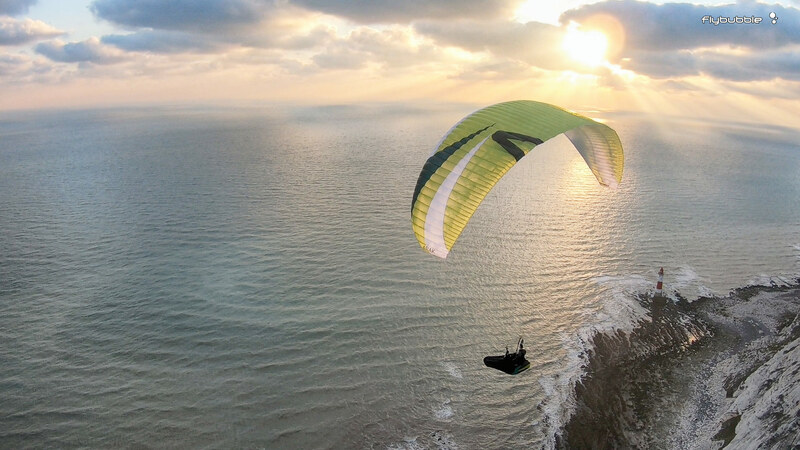 Using Dominico 32g fabric over most of the wing with optimised reinforcing, it is semi-light, which means it should be a bit more robust than the ultralight wings you get between 3 and 4 kilograms, where every gram is stripped off. At 4.5kg for the S size (70-100kg) the ARAK is similar to the Advance Epsilon 9, Supair Leaf and Phi Tenor in terms of weight. This modern trend of ‘light and compact’ is very much appreciated when you lug your gear through airport terminals on your escape to freedom. The risers are the lovely slender Skywalk standard with plastic maillon inserts, split A’s, and simple but comfortable brakes on swivels with plastic sleeving for pressure protection. The ARAK comes with a Hike 55L / 80L or Alpine 135L / 175L backpack, which gives you great flexibility: match your purchase to your harness and intended use. 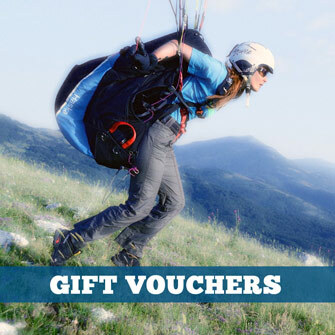 It also comes in an innovative expanding inner bag which allows you to leave the bag zipped open for better airing, a sensible method for storing a wing after flying in damp conditions. 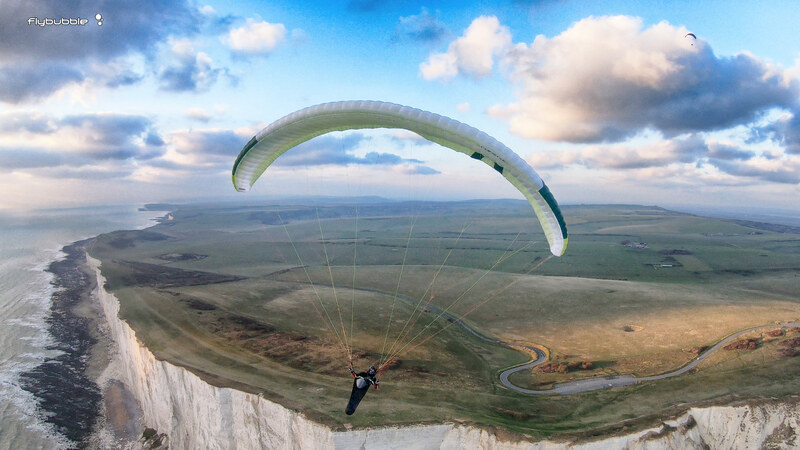 I played with the ARAK on the grassy South Downs and did quite a lot of ground handling. I found it very easy on the ground. 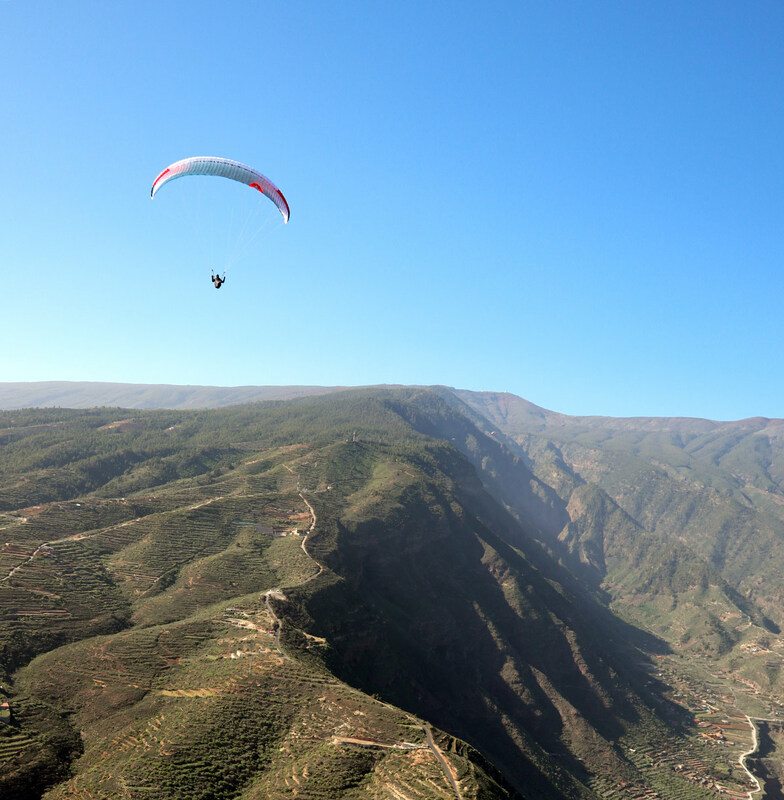 It was also very easy in Tenerife, where I did a couple of forward launches (all good, lets go!) and many reverse launches with no fuss at all. It is not a demanding wing, it pulls up in one ‘block’, and doesn’t present the pilot with much energy to manage. I noticed a good climb rate relative to other B wings. This is always a difficult thing to test, as every pilot has their own style of thermaling and unique wing loading, but I felt competitive and certainly at no disadvantage on the ARAK. On glide I could not match the latest C class wing that Carlo was flying, which is to be expected, but I was certainly very competitive within my class. Thermaling is very easy, I could get a nice bank on the glider without the glider feeling like it was digging in, I could turn it tightly to stay with the punchy thermals, I could boat around nicely doing big wide boaty turns and climb very well. Brake pressure is not light, I could feel the pressure, it’s not heavy but quite positive, more on the heavier side than lighter side: a firm and direct feeling. It doesn’t give a lot of feedback, it gives that reassuring feeling of a true ‘mid B’. It isn’t busy or chatty in the air. 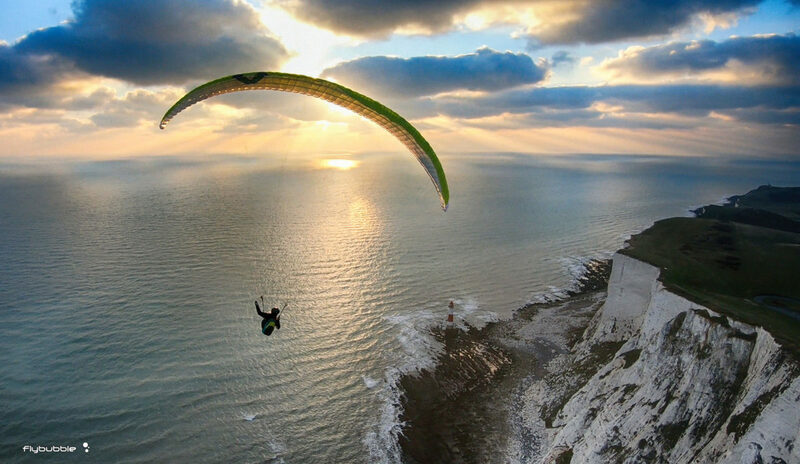 The glider behaved well in breaking through inversions and turbulence layers, providing a reassuring indifference. 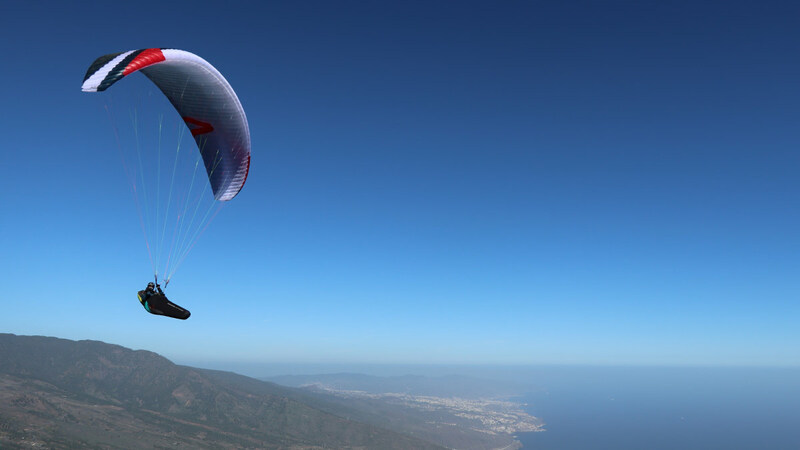 Certainly when you’re a bit rusty from the UK winter or lack current airtime before going on a thermic escape trip, it’s great to have something that is mellow and undemanding to fly. After a few hours of thermic airtime, I did miss the agility offered by Tequila 4 and Chili 4: although the ARAK does have a little more ‘fun factor’ than the Tequila 5, it is calm and balanced and might be a bit tame for an experienced pilots looking for the ‘one wing to rule them all’. For pilots on a progression from a first wing or Tequila 5, this is a simple easy upgrade with no difficulties. It turns in a flat manner, with some energy, some flavours of the Tequila 4 and more energy than the Tequila 5, but it is a true mid B with nice easy handling. Big ears using the split A’s were lovely. They slotted in with no flapping: nice and stable. They need a bit of pump to get out. The long glides in Tenerife gave me a good opportunity to test the speedbar. 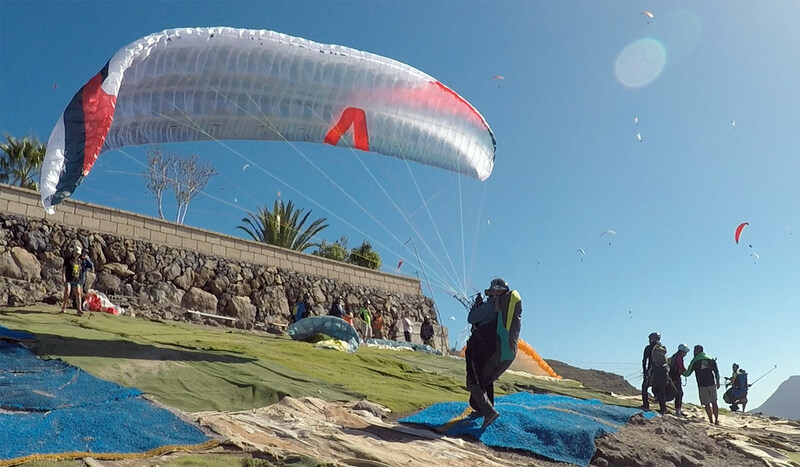 I was flying with the Advance Lightness 3, and the ARAK felt light and easy and offered a noticeable speed difference; effective but moderate, about 10km/h increase over trim speed. It was very reassuring at that position with no tendency to pitch ahead or back in bumps: it seemed very controlled. The Skywalk ‘Jetflaps’ are small slots in the wing that allow the air to pass from the undersurface to the topsurface, which allows for improved braking when coming in to land. This gives a nice smooth flare when landing. It suits those who have ‘brake creep’ … pilots who tend to bring the brakes down, down a bit more, when alarmed of the approach speed. It’s not a good habit, but the ARAK helps you with a nice soft progression, and the Jetflaps seem to slow the whole stall approach down. It’s a little something that feels as if it makes a bit of a difference. 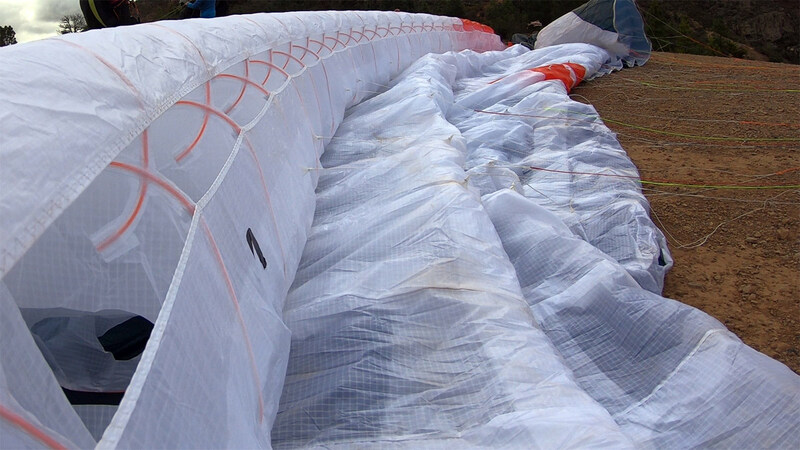 It doesn’t interfere with strong wind landings: when you want to stall it, it will responds well. Skywalk ARAK: Who is it for? Carlo: it’s great to see something truly mid B (not low B or high B) which is easy to recommend. It’s a versatile glider, it feels a bit lighter on the ground than some others and it is quite compact. It has the soft rods so you can compress it into quite a small package. For hike and fly, straight out of school, for xc, for playing around, it is a nice fun reassuring wing to play on. Nancy: The pilot that will be super happy with the ARAK is likely to be stepping up from a first wing (high A). It would make a nice progression up if they don’t want to stay in the safe end of the B class, or have aspirations for hike and fly and need something lighter. It’s suited to a wide spectrum of pilots from talented beginners to hike and fly explorers to cross country with good performance. 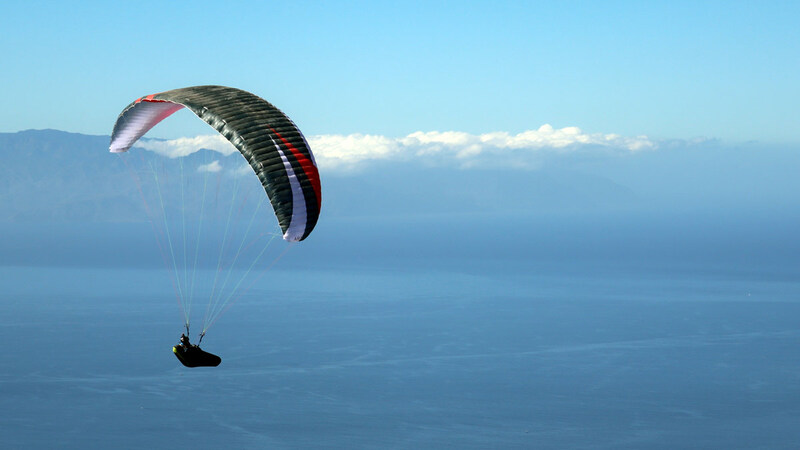 A comfortable reassuring glider that will give you great confidence.